Weekends for me are all about relaxing and enjoying the money that I bust my gut to earn 5 days per week. This usually comes in the form of eating out in and around Milton Keynes. 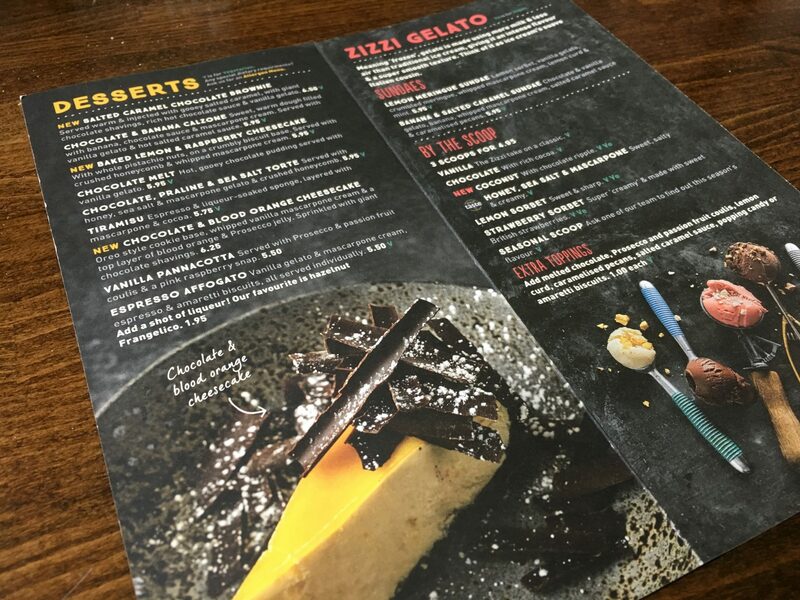 This Sunday was no different and so I decided to head to Zizzi Italian restaurant in The Hub, Milton Keynes. 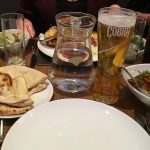 This was a pretty interesting experience for me as I hadn’t been to a Zizzi restaurant for I would guess around 8 years! 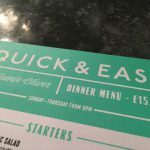 I used to be a real fan of the restaurant chain however the last time I went it wasn’t a particularly great meal so rather than avoiding the restaurant I had simply opted to try other places if I wanted Italian food, such as Pizza Express, Aqua or Jamie’s. 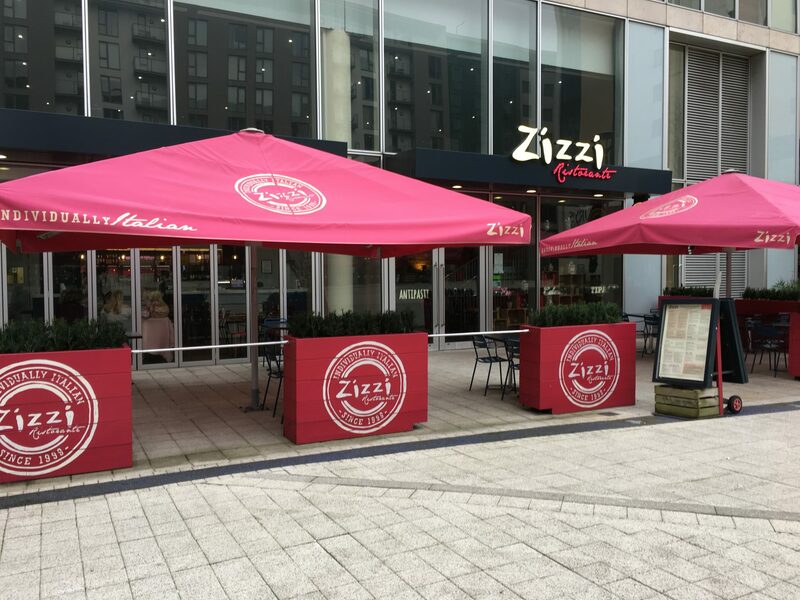 Zizzi is located in The Hub, Milton Keynes which is an area offering a wide range of restaurants in very close proximity to one another. With it being so competitive it’s really important for restaurants in locations like this to ensure they go the extra mile to keep you coming back. 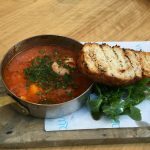 First impressions of Zizzi was pretty good – clean, modern and inviting. Once inside it wasn’t very busy (2pm on a Sunday) so we were quickly greeted with a smile at the door and offered our choice of seating in the restaurant which was a nice touch. I find that it always adds a little to the experience when you are offered a choice of seating locations rather than being herded to a table that you may not particularly fancy. Seated, we were handed our menus which were notably clean with no food bits on them(!) and shown the specials. 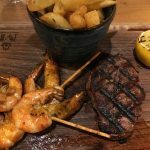 With such a wide range of food to choose from I must admit it took me quite a while to make a decision on my main as it all sounded amazing. 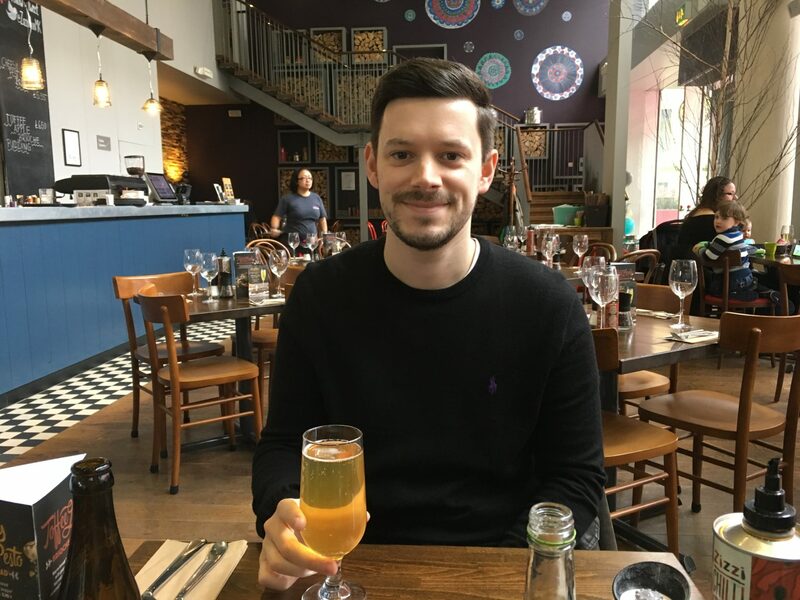 When our waitress came over to take our order I needed a few extra minutes so whilst she waited for me to stop faffing about we got our drinks orders in. 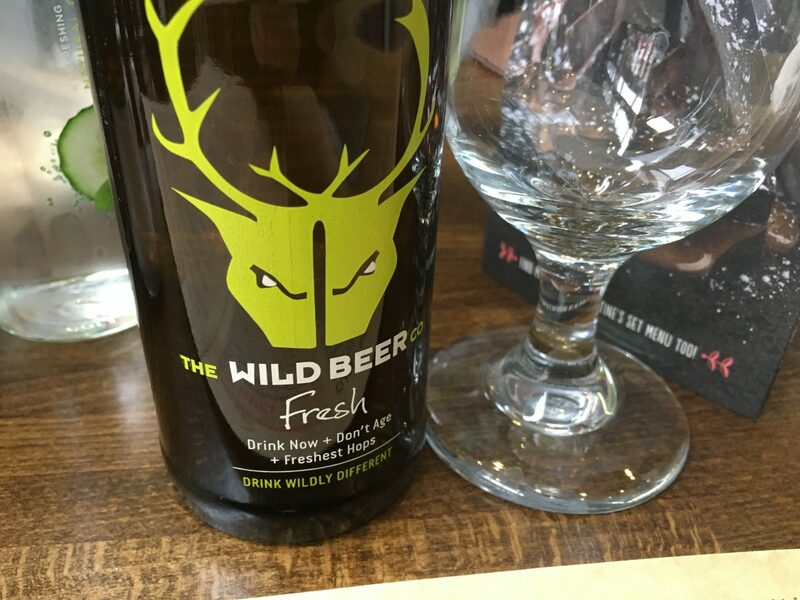 I opted to go with an IPA I hadn’t come across before called ‘Fresh’ from The Wild Beer Co which was excellent. Finally, with food ordered Sarah and I enjoyed the time to catch up with each other over a dish of olives! Though I must say, at nearly £4 this was in my opinion a massive rip-off for 14 olives – nearly 30p each!! 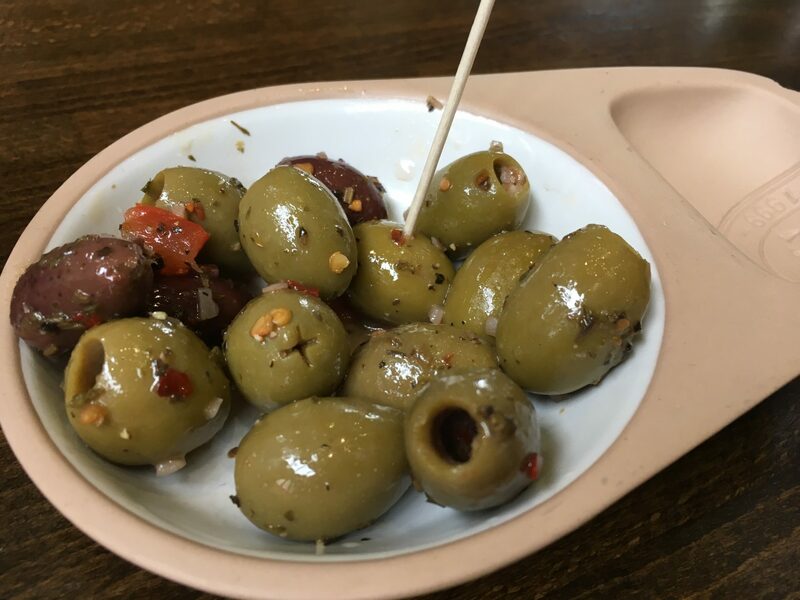 I regularly order olives for the table and this is by far the stingiest portion I’ve received in a long time, they were also a bit too vinegary for my liking – I’ll save my money next time. With the restaurant not being busy it really didn’t take long at all for the mains to come out which was great – no waiting around! As pizza’s go, this was right up there as one of the best I’ve eaten in months. With a white base it was completely different to what I would typically order but the flavours were incredible. It was quite garlicky, so best to avoid it if that’s not your thing however with the sun-dried tomatoes, salami and sausage it was full of flavour. The dough base was also rolled out and cooked perfectly in the stone oven, offering a great balance between being crispy around the edges and less so in the centre. Like my own, this pizza tasted great and was quite spicy! Comparing this one my own however I think the Montepulciano salami rustica pizza was the better of the two! I very nearly stepped away from the dessert menu after the mains as it was so filling. Then that devil on my shoulder took over and convinced me that desserts were definitely the right thing to do in this situation! Menu in hand, I opted for something not too heavy so avoided the brownies and cheesecake, instead opting for something gelato based. After some deliberation I opted for a banana & salted caramel sundae whilst Sarah ordered a lemon meringue sundae. I don’t usually order sundae’s when it comes to dessert however as they go this one I would say was a little better than average. The gelato tasted great however the sauce was a little overwhelming and there was a lack of pecan nuts. Not bad, but certainly not memorable. As for the lemon meringue sundae, I must admit I didn’t try it so I’m not sure if it was any good (I’m assured by Sarah it was) however it did look great! 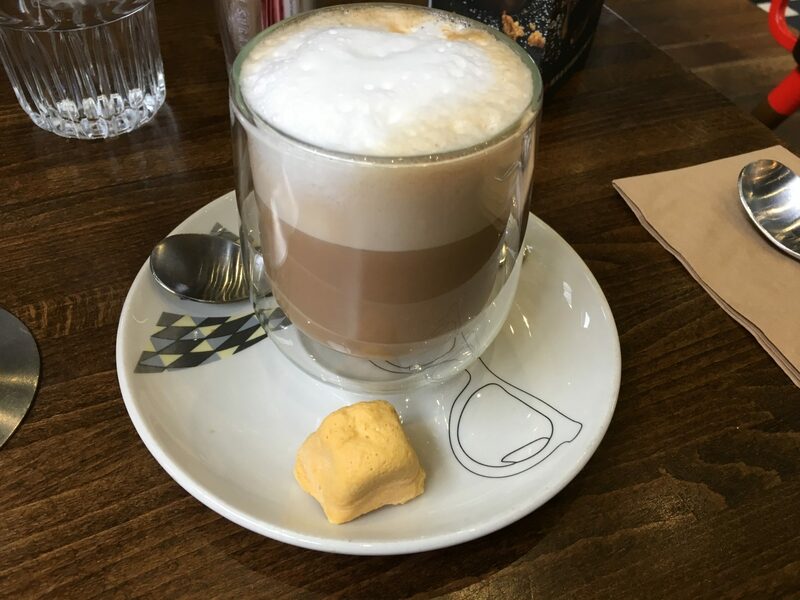 I also coupled my dessert with a latte which was served with a square of honeycomb, delicious! Being a Sunday afternoon the restaurant really wasn’t busy at all so there wasn’t really much of an atmosphere. There were however quite a few kids running riot around the place, over-excited having been handed balloons which was a little unnerving with so many plates and knives around. It certainly wasn’t something that bothered me personally however if you were looking for a quiet/intimate meal on a Sunday afternoon I would probably give Zizzi a miss as it does attract families with young kids – come evening I’m sure it’s quite different. What I do like about Zizzi is similar to what I like about Pizza Express and that is the pizza oven being visible along with the chefs. I find that just adds a little something to the whole experience being able to watch the pizzas being made. 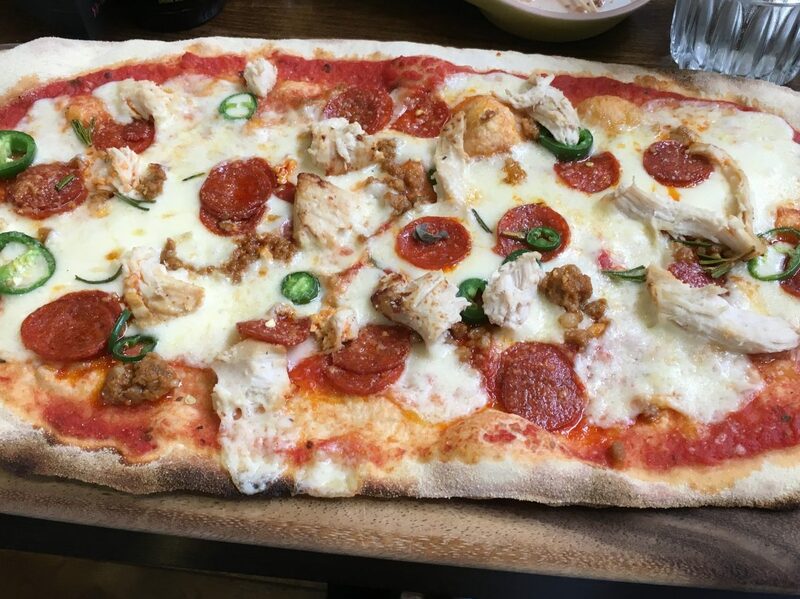 The food which was served was good quality and full of flavour, particularly the pizzas which I felt were excellent. Although the olives had flavour, I felt that there could have been a larger serving and the vinegar could have been reduced slightly. Finally, the desserts tasted great and made a nice change to my usual choices however I don’t think I’d order it again as there was a little too much sauce for my liking. Despite my minor criticisms I felt that overall the food served at Zizzi was great and very enjoyable. 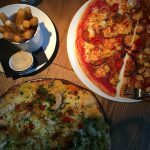 My overall experience at Zizzi was really positive one and has certainly left me feeling like I would head back there for dinner in future. 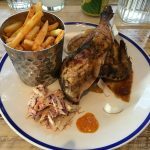 The service was excellent with the food being served quickly (might be different during busier hours), hot and with a smile. 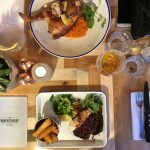 The food tasted great and was packed full of flavour, and to top it all off I discovered a new, great tasting IPA which I’ll be keeping an eye out for elsewhere. 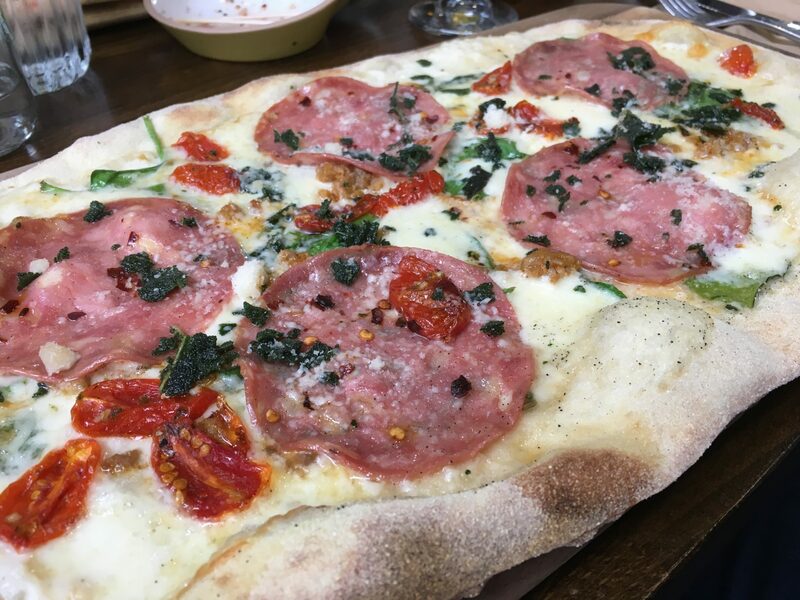 With so many restaurants to choose from in Milton Keynes I think if I was heading out for an Italian, I would still favour Aqua in The Hub (which I recently visited) for a more premium meal however for a simple Italian menu, Zizzi is a great choice.